COLLEGE STUDENTS! Are you looking for an internship for this summer? 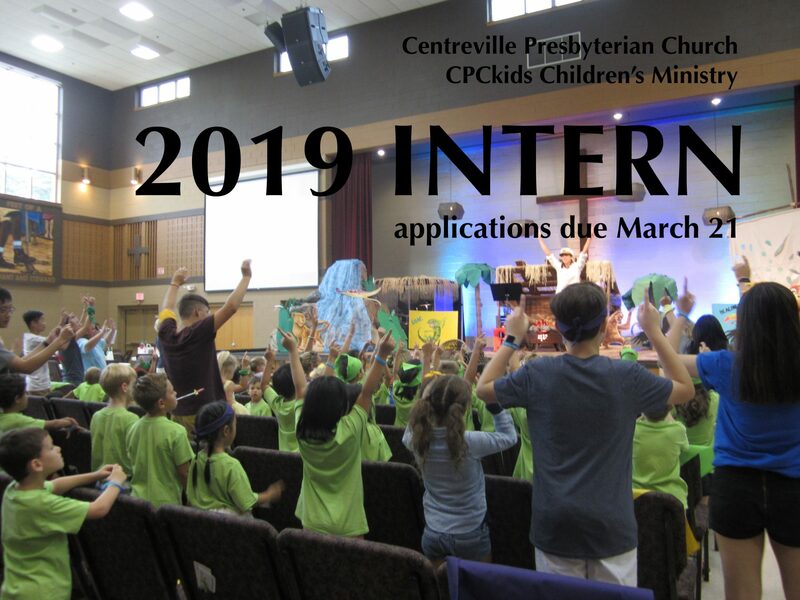 CPC is offering a paid internship for the CPCKids Children’s Ministry this summer. No prior experience in Children’s ministry required. A love of working with kids and a willingness to serve and learn is a must! We encourage you to pray about it. Submit your resume and a brief description of why you are interested in this position to Jill Rumple, Director of Children’s Ministry (jill@cpceco.org) or call her at the church office at 703-830-0098 for more information.